We often get requests from creators asking whether it’s possible to register a copyright in multiple works of visual art at one time, whether it’s a series of t-shirt designs or a collection of photographs. Yes it is possible, in certian specific cases, to use one application. Which could save you time and money if you fall into one of the specific categories. Since, each individual registration requires an application form, a filing fee and a non-returnable deposit (which will be discussed later in this guide), you can save time and money if you use one application. There are some rules that you should understand if you do use one application for multiple works. Understand that filing multiple works under one application can be a complicated process. If you make a mistake while registering your works as a collection or a single unit, it could be invalidated if a dispute arises. Registering multiple works under one application is usually best left to an experienced attorney unless you are confident you know what you’re doing. 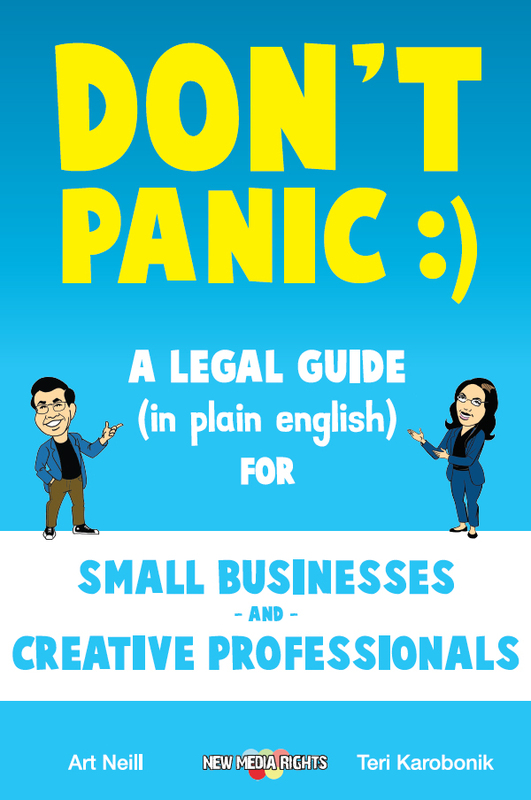 We also have this guide to let you know which situations you could go ahead and register yourself and which ones you may want to hire a lawyer for. However, registering a single work is fairly easy to do though. It’s cheapest and easiest if you do it electronically through the eCO. More information can be found in this Copyright Circular (a document released by the Copyright office). What is a “Visual Arts” work? Copyright protection in the U.S. extends to authors of “original works of authorship,” including “pictorial, graphic, and sculptural works,” also known as “Works of the Visual Arts.” This can include anything from a cartoon strip to children’s toys to advertisements. Even technical and mechanical drawings can be protected as a visual work of art if it meets the originality requirements. For a comprehensive list of what is considered a work of visual art, see the copyright offices supplement on Works of the Visual Arts. While copyright protection doesn’t normally protect “useful articles” (i.e. clothing, furniture, machinery, etc. ), protection can also extend to artwork that is “affixed” to a useful article. Therefore, a t-shirt itself may not have copyright protection, but the design “affixed” to the t-shirt does. What are the different categories of work that I can register my multiple visual arts works under? As a Collection of unpublished works. Keep in mind that there are different guidelines for published and unpublished work. A work is “published” if it has been distributed to the public by selling, renting, lending or otherwise transferring ownership of it. It will also be considered published if you have distributed copies to another person for the purpose of having that person publicly display or distribute it. The main difference between published and unpublished can be summed up by whether you’ve given your work to in hopes that it will get sold or distributed to more people. If it has, then it’s published. If not, then it’s probably not published. For example, if you create a graphic design for a t-shirt and sell a couple of shirts with the design on them (even if just to friends and family), then it is published. Keep in mind, under Copyright law “a public performance or display of a work does not of itself constitute publication.” Therefore, you can show your original work all you want, but once it’s fixed in a material form and it exchanges hands, you should assume it’s published. Elements of the collection are assembled in an orderly form. The combined elements bear a single title identifying the collection as a whole. The copyright claimant or claimants for each element in the collection are the same. All the elements are by the same author or, if they are by different authors, at least one author has contributed copyrightable authorship to each element. In other words, if your unpublished work is in some form of order and has a common title it is likely it can be registered as a collection. The copyright office hasn’t provided many examples of what does and doesn’t qualify as a collection, but the qualifications are seemingly broad. To ensure your works would qualify as a “collection” it is best to seek the advice of a Copyright lawyer who can better assess your individual situation. This insinuates that something like a “series” of graphic designs affixed to a t-shirt would not be considered a single unit. However, other forms of media, such as a documentary with separate audio and visual components would be considered a single unit and registerable as a single unit of publication. Once again, the copyright office doesn’t offer much help in this department. If you’re unsure as to whether your work constitutes a single unit, it’s best to seek the advice of a Copyright lawyer. Group registration of works of the visual arts is limited to two situations: 1) published photographs and 2) contributions to periodicals. The same photographer took all the photographs (if an employer for hire is named as author, only one photographer’s work can be included). All the photographs were first published in the same calendar year. All the photographs have the same copyright claimant(s). In order to register published photographs, you will need to complete Form GR/PPh/CON on the Copyright Office Forms Website under the “Types of Applications that Must Be Completed on Paper” portion of the website. The website provides instructions as to how to send this application to the office. The author of each work must be an individual, not an employer or other person for whom the work was made for hire. Each work must have been first published as a contribution to a periodical within a 12-month period. The application must identify each contribution separately, including the periodical containing it and the date of its first publication. In order to register contributions to periodicals as a group, you will need to complete Form GR/CP on the Copyright Office Forms Website under the “Types of Applications that Must Be Completed on Paper” portion of the website. Registration of your work is not required under Copyright law but provides many advantages. For one, copyright registration is required before you can bring an infringement suit. Secondly, registration provides definitive evidence that your copyright is valid in a court. In some circumstances, registration allows you to receive statutory damages and attorney’s fees which are both helpful in allowing you to recover money if your work is infringed. Registering requires a completed application form, a non-refundable filing fee, and a copy of your work to be deposited with the Copyright Office (this is called a “deposit”). There are two ways to apply for copyright registration. One way is to register online through the electronic Copyright office. This is the easiest and cheapest way to register. The advantages of online registration include: a lower filing fee, a faster processing time, online status tracking, online payment and the ability to upload your deposit electronically. To apply electronically visit the Copyright Office Online Application website eCo and create an account. Click on register new claim, complete your application and select the Work of the Visual Arts. Online, you will be prompted to pay the fee and submit your deposit (a copy of your work). A deposit can be uploaded directly if it is: an unpublished work; work published only electronically; published work for which the deposit requirement is identifying material; or published work for which there are special agreements requiring hard-copy deposit to be sent separately to the Library of Congress. You can download a full tutorial of how to register on the eCo website. You may also apply through paper forms that are accessible on the Copyright Office Forms website using Form VA (visual arts work) and Form CON (continuation sheet for paper application). You will need to fill out the forms and mail them with the appropriate filing fee. Specific mailing directions are available on the Copyright Office’s website. While registration is not required in the United States under the Copyright Act, deposit is mandatory. There are varying requirements for the deposit that need to be met based on what kind of work you are registering. In specific cases a work may be exempt from registration. Because these requirements and exemptions are so varied and specific to individual situations this guide will not go into all the details of deposits. For a full break-down of what is required to make a deposit, please read the Copyright Office’s Circular pertaining to Deposit Requirements for Registration of Claims to Copyright in Visual Arts Materials. This document also explains specifications as to how many copies you are required to send, what these copies should contain and in what form you may send them. Note: Group registration only applies to two situations involving Works of the Visual Arts: 1) Published Photographs and 2) Contributions to Periodicals.